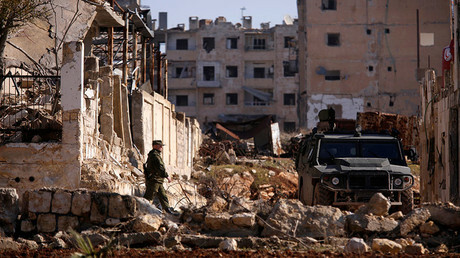 Four Russian servicemen were killed in Syria on February 16, when a radio controlled bomb targeting a Syrian military convoy exploded, the Russian Defense Ministry has said in a statement. Two other Russian servicemen were injured in the blast, the Ministry added. 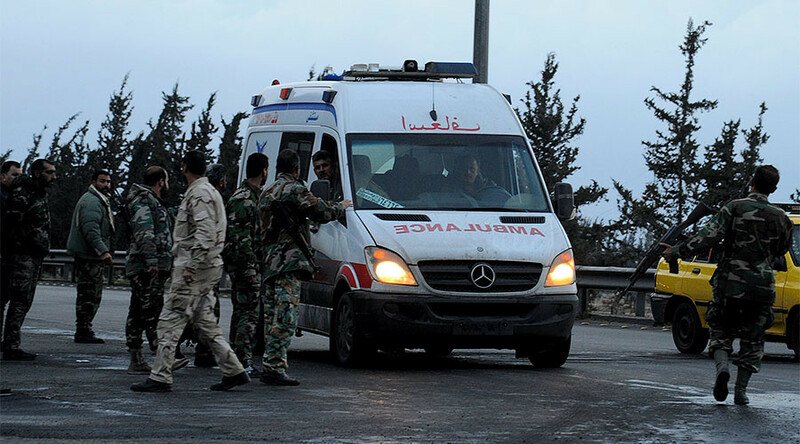 The vehicle had been part of a Syrian Army convoy traveling to the city of Homs from the Tiyas airfield in central Syria’s Homs Province. Russian military advisers were in the car when it blew up, according to the ministry’s statement. When the vehicle was some four kilometers (2.5 miles) from the airfield, a radio-controlled improvised explosive device (RCIED) went off under the vehicle, the ministry said. Since September 2015, when Moscow was invited by the Syrian government to take part in the anti-terrorist campaign, Russia has lost 26 servicemen in Syria, including the four recent victims, according to TASS estimates, based on Russian Defense Ministry statements. In late December of last year, a ceasefire brokered by Russia, Turkey and Iran was established in Syria. The Islamic State (IS, formerly ISIS/ISIL) and Al-Nusra Front terrorist groups are not included in the truce. Russia was recently actively involved in meetings on Syria in Astana, Kazakhstan, where several rounds of peace talks were held with the participation of Ankara and Tehran. The sides generally agreed on the details of how the cease fire should be monitored, Russia’s foreign minister, Sergey Lavrov said. Efforts to convince more fighting groups to enter into talks with the Syrian government have also been ongoing.